A passerby noticed the attack and reported this matter to the police. It's been confirmed by a chief metropolitan officer that, at the time this took place, a security guard who was supposed to be securing the enclosure was not at his post. Another staff member shot and killed the wolf. While an inquiry is being done, the security guard has been suspended for negligence. However this is not a solution for the BIGGER PROBLEM HERE. • The fencing around the deer enclosure is not properly secured. It allowed a wild animal to enter. • Visitors report animals look lethargic, with untreated injuries. They are also weaving back and forth, which is a term called "zoochosis," a mental illness. • Media have been reporting for over a decade on the negligence and cruelty by zoo administration and that animal deaths have become routine a thing! • For years, visitors, media and activists campaigned on the treatment of an endangered Asian elephant named Kaavan. His mahout made the elephant beg to earn tips from visitors by selling his food to the public to feed him. Kaavan was kept in chains for hours standing in an empty cement pool. In the past, activists who spoke up for Kaavan, saying that he suffered from isolation and mental illness, were physically beaten by zoo employees. The administration control of Islamabad zoo was changed in (2016) from Capital Development Authority (CDA) to Metropolitan Corporation Islamabad (MCI). For over a decade CDA have released statements to the media stating there will be an upgrade to Islamabad zoo to international standards and better care for animals, and now MCI is singing that same tune. There have been no improvements to Islamabad zoo just more animals have died and they keep bringing in more animals. Proper attention was not given by former government to the management of zoos. These are sensitive animals and their needs are not being met. These unnecessary deaths and cruelty issues are ongoing. There's a New Prime Minister in Pakistan Imran Khan and he brings a positive message #NayaPakistan ( english translation ; New Pakistan). Laws are needed to be established for animals in captivity and how zoos should be managed with his attention on this pressing matter he can make this happen. 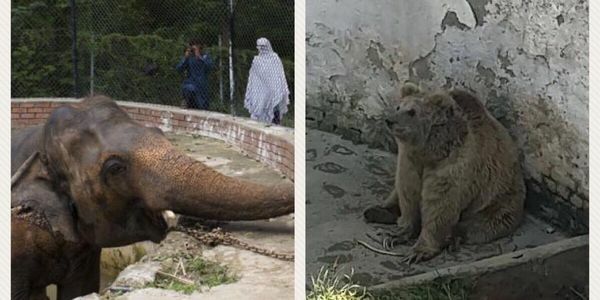 The Metropolitan Corporation Islamabad (MCI) has conditionally decided to release Kavaan, the lone elephant at Marghazar Zoo, if an international charity organisation ( Free The Wild ) provides help for up gradation of the zoo talks between the MCI, Marghazar Zoo and the international charity organisation had been going on for months.